Sweden is a large country in the Scandinavian Peninsula, and it is one of the most prosperous countries in Europe. The people are very nice and welcoming, and they have a laid-back lifestyle. There are many tourist attractions in Sweden, one of which is Stockholm, the nation’s capitals. There are many historical places, and you must not miss the Vasa Museum. They took an old wooden ship and put it inside the museum. It is a magnificent thing. Other attractions include the northern lights, which are stunning. You must travel north of Sweden, of course, but it is worth it. Some resorts provide snowmobiles so that you can reach remote places where there is no light pollution. If you want to travel to Sweden, you need to research its visa requirements. Keep in mind that Sweden is a Schengen country, so if you do need a visa, you must obtain a Schengen visa. There are two exceptions. You do not need one if you travel from another EU state or an EEA (European Economic Area) country. EU and EEA citizens have the right of free movement within the Union. The second is that a visa-exemption is given to people who travel from the countries that are in the visa waiver program (Annex II). However, this category of travelers can stay within the Schengen Area for up to 90 days. To find out whether or not you need to apply for a Schengen visa, you can read about it online. However, we have another suggestion, and that is to use iVisa’s Visa Checker. All you have to do is access it, select your nationality from the drag-down menu on the left, and choose Sweden as your destination. The result will let you know what you need. Plus, if you do require a visa, you will be given a list of the nearest embassies where you can apply. 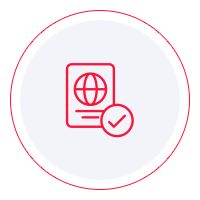 Keep in mind that Schengen visas cannot be obtained online. That is why iVisa cannot help you get one. But even so, our support service is available 24/7 should you have any questions. The service is free of charge. The next thing you need to establish is to which embassy you need to go if you need a Schengen visa. The visa policy of the Schengen Area is pretty clear on that, but the point is that you have more than one choice. It goes as follows. If you plan to visit Sweden alone, then naturally, you must get your visa from the Swedish embassy. However, if you have multiple destinations in the Schengen Area, you must go and apply for your visa at the embassy of the country which is your primary destination. Lastly, if that cannot be determined, you must pay a visit to the embassy of the country that you visit first. The requirements are not challenging to meet. You should call the issuing authority to find out which they are, but what we can tell you is that you should not rely only on the information you find online. For what is worth, all travelers must have a valid passport that does not expire for another 6 months from the date of arrival in the Schengen Area. We regret that we cannot be of more assistance with the visa application process, but we hope that the information above is of some use.